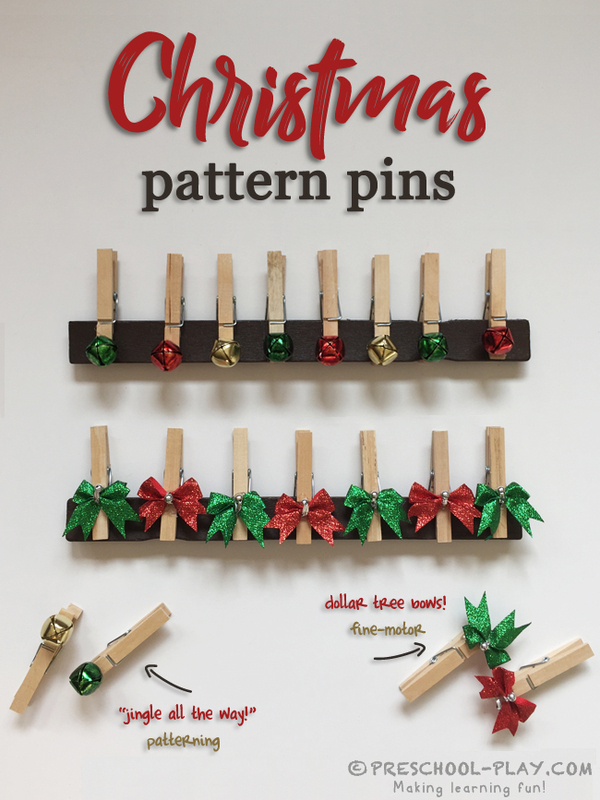 This Christmas patterning activity is one of many pattern pin sets that we use in our classrooms. 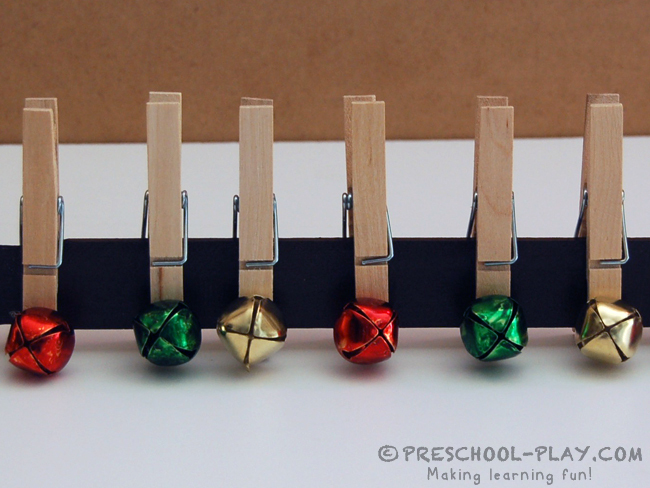 Pattern pins are easy to make, inexpensive, hands-on learning tools. Plus, they are super cute, the kids love them, and they work those small hand muscles! For this set, we painted the mixing sticks brown; we always use a dark color for our bases, so that the patterns really stand out. You can pick up mixing sticks at Home Depot, Lowe’s, or your local paint store. 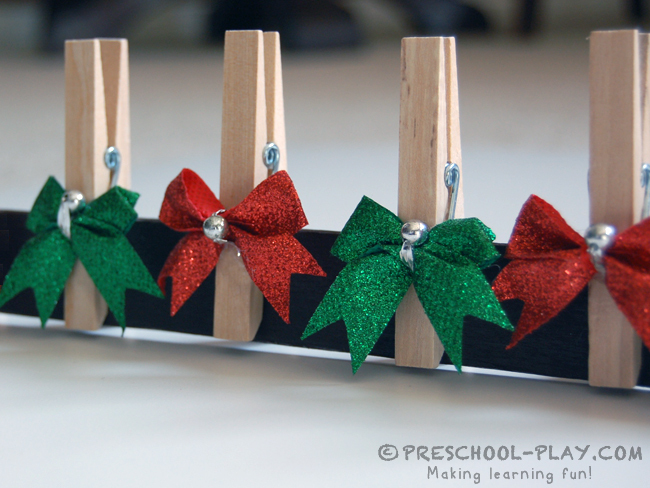 We found jingle bells and mini Christmas bows at Dollar Tree, and hot glued them to the tops of clothespins. 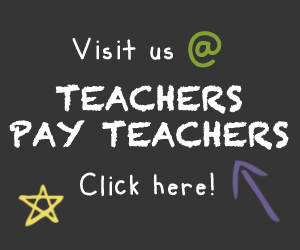 You might first introduce pattern pins and demonstrate the concept of patterning in a large group, and then work with small groups of children, making patterns together. Students will not only create patterns, but they will also copy and extend patterns that are represented on other sticks (made by you or other students). For this reason, it’s a good idea to have multiple bases on hand. 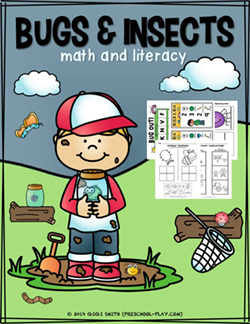 Be sure to encourage your students to identify their patterns and describe what is and what is not a pattern.